What was so unusual and ultimately so captivating about Big & Rich’s debut album, 2004’s double-platinum Horse Of A Different Color, was that as a singular, declarative statement of artistic identity, its text was straightforwardly good but its pre-, con-, and sub-texts were rooted in such fundamental conflict and internal inconsistency that the album could never overcome them. Taken entirely in isolation, “Save A Horse (Ride A Cowboy)” was one of 2004’s best singles from any genre, and Big & Rich were the maverick leaders of the self-appointed Muzik Mafia hellbent on reforming the country mainstream. But the album’s overall aesthetic, the sociologically loaded “Country Music Without Prejudice” credo that gave Horse more than simply escapist purpose, made it a work nearly impossible to take seriously, and it raised what should have been serious questions as to how well Big & Rich really understood the full implications of what they passed off as mere shtick. 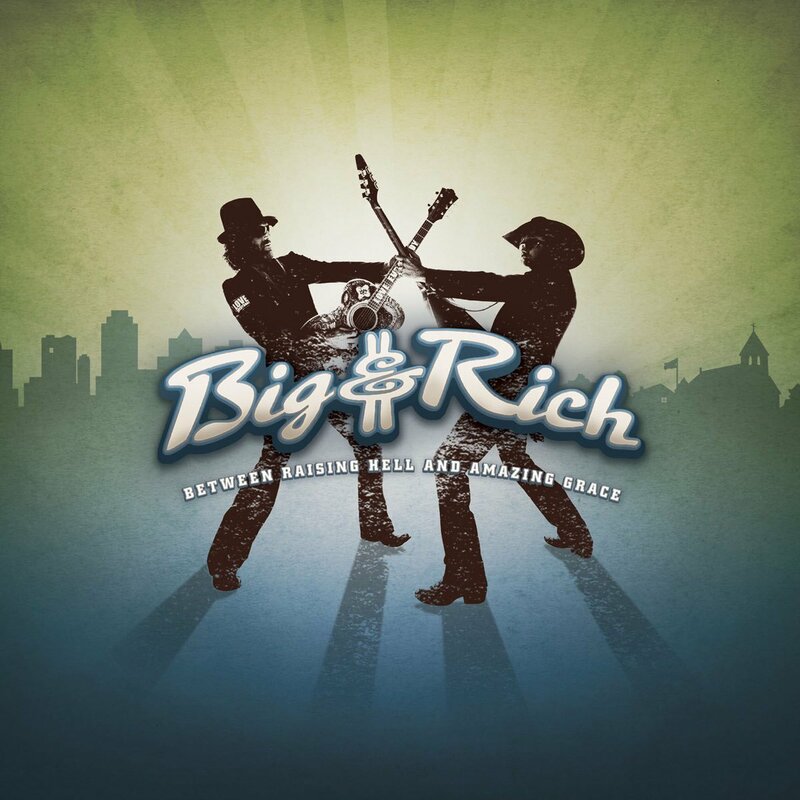 In attempting to appeal both to mainstream country and hip-hop audiences, Big & Rich approached their ostensible gimmick without the respect it actually deserves, ignoring the broader cultural significance of each genre. Country music, historically, has served as a voice of protest for the disenfranchised rural poor, while hip-hop, a comparatively more recent development, functions as a similar voice for the urban poor. Albums like Patty Loveless’s astonishing Mountain Soul and Public Enemy’s landmark Fear Of A Black Planet certainly don’t sound anything alike, but they speak to the same principal rage against social imperatives that would otherwise deny them a voice. Country and hip-hop, perhaps moreso than any other popular genres, have been most vitally damaged by efforts to increase their commercial viability (enter Rascal Flatts stage left, Chingy stage right), and Horse embraced that in a particularly ugly way, reducing hip-hop to a source of obvious slang and paying no mind whatsoever to the workings of its crucial forms and structures. So when Big & Rich issued their call-to-arms for “Country Music Without Prejudice,” they raised a host of difficult questions on matters of class, station, and race that demanded far more delicate consideration than Horse‘s winking use of “bling bling” offered. With its unfortunate tendency for further race-baiting, the album suggested that Big & Rich simply didn’t have anything coherent to say on the matter. But for a reference to Nelly’s “Hot in Herre” on “Caught Up In The Moment,” their follow-up, Comin’ To Your City, serves as some much-needed spin control, side-stepping the minefield entirely. For that reason, the album largely works in one significant way that its predecessor didn’t: as pure escapism. For all of their hip-hop posturing, what Big & Rich actually do well is a combination of arena-rock powerchords with the occasional banjo and fiddle, and they’re at their best when going for full-blown anthems. That’s why “Save A Horse” wasn’t just a novelty record; Big & Rich have the swagger necessary to back it up. The bulk of its 12 proper tracks consisting of aggressive electric guitar numbers that trad-country purists will instantly loathe, City tries to play to their strengths. Unfortunately, none of the songs (including the title track, which uses the same chord progression and sing-songy half-rapping in the verses) matches the punch or the wit of “Save A Horse.” As anthems go, it’s a high standard, sure, but tracks like “Soul Shaker” and “Blow My Mind” are such bald-faced attempts to manufacture a new career-defining moment that they can’t help but sound strident in direct comparison. The melodic hooks just aren’t as immediate this time. Still working in their favor, however, are their intricately arranged vocal harmonies, which are another aspect of their sound that sets them apart from their contemporaries on country radio. Both John Rich (formerly the second-chair vocalist for Lonestar, country’s very own version of Journey) and “Big” Kenny Alphin are strong individual singers, but rather than alternating lead vocal duties (or, like Brooks & Dunn, giving nearly exclusive top-billing to half of the duo), they adopt The Louvin Brothers’ approach, using dual lead harmony arrangements that would hold up individually but sound even better in tandem. More’s the pity that their lyrics so often fail to substantiate the enthusiasm with which they’re delivered. Because so much of their artistic persona is based on would-be subversion of genre conventions, Big & Rich just can’t pull off weary midtempo numbers like “Leap Of Faith” (with syntax and meter optional lines like, “To a rocket I’ve been tied/I’m ready for the screaming ride”). Creed knockoff “I Pray For You” (the chorus of which is, “I light a candle, watch it burn/I feel the angels come and fill this room/Oh, when you’re gone, I miss you so much/I do the only thing I can do/I pray for you”) would be even easier to dismiss if not for the lingering suspicion that, all things considered, they might be kidding. When they’re deliberately trying to be clever, the results are just as uneven. In addition to his contributions to Horse, Rich, in writing for other artists over the past year (including fully half of Gretchen Wilson’s output and Faith Hill’s wretched “Mississippi Girl”), has demonstrated an awkward use of meter, especially for someone who’s supposedly influenced by hip-hop, and “Comin’ To Your City” and “Jalapeno” are marred by lines that either cram too words into—or stretch too few words over—time signatures that aren’t really so complicated. Were lyrics Big & Rich’s selling point, this would be a far greater problem for just their sophomore album; long-term, though, they’re going to have to come up with something interesting to say—and develop a greater skill in saying it. What the two tracks that bookend City suggest, unfortunately, is that Big & Rich face considerable difficulty with coherence. The genuinely funny skit that opens the album, “The Freak Parade,” cheerfully boasts that “somebody’s got to be unafraid to lead the freak parade,” and most of what Big & Rich have done up to this point in their career does put them at the front of the line in Nashville’s neo-Outlaws brigade. Which makes the album-closing “Our America” (mercifully, the only track on the album on which either Wilson and Cowboy Troy, fellow members of the Muzik Mafia and both aggressively bad at what they do, appear) all the more confounding, in that there’s absolutely nothing that could be more in sync with Nashville’s current politics than an arrangement of “The Star Spangled Banner” punctuated by recitations from the Pledge of Allegiance and the preamble to the Constitution. It’s freakish, all right, in that it’s unequivocally bizarre and more than just a little bit creepy, but it’s executed so reverently (and consistently with the politics of Wilson’s All Jacked Up) that it can’t be taken as an ironic salute to the brand of jingoism that Toby Keith and Darryl Worley have turned into careers. For an act hoping to lead the freak parade down Music Row, kowtowing to the genre’s reigning zeitgeist only makes Big & Rich seem all the more misguided. So City eschews the major problems of its predecessor while presenting an entirely new set of obstacles for Big & Rich to overcome or to ignore on their next album. And maybe part of the point of Big & Rich is that they don’t resolve their own internal politics. In terms of establishing an artistic identity, it’s a dodgy maneuver, but it makes them a fascinating act nonetheless, at a time when country music desperately needs artists worth discussing. There’s little productive ground to be mined, for example, in trying to figure out the best way to determine if Joe Nichols and Blake Shelton really are different people. Because of their success, which City will most certainly perpetuate, Big & Rich have made it commercially viable for the first time in over a decade for major label country artists to deviate from the George Strait/Reba McIntire molds that had resulted in the genre’s artistic stagnancy. In that regard, Comin’ To Your City confirms that Big & Rich, at this point, are still far more important than they are legitimately great.